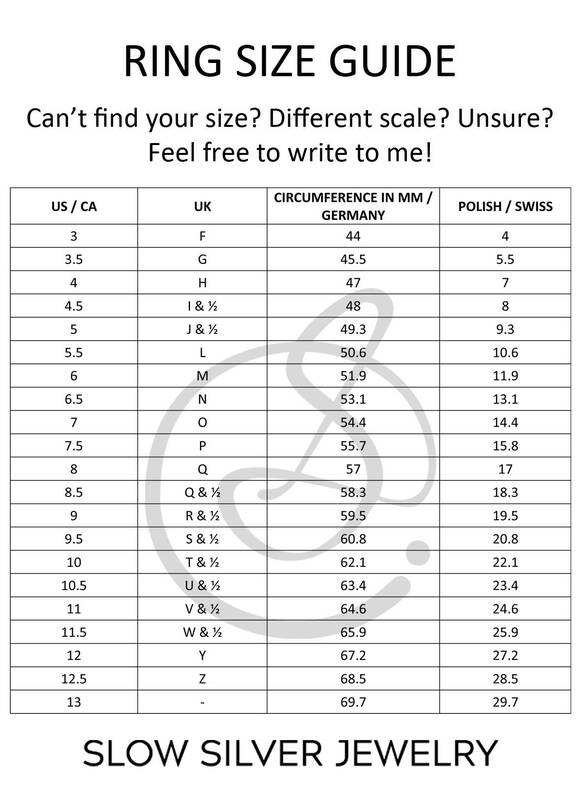 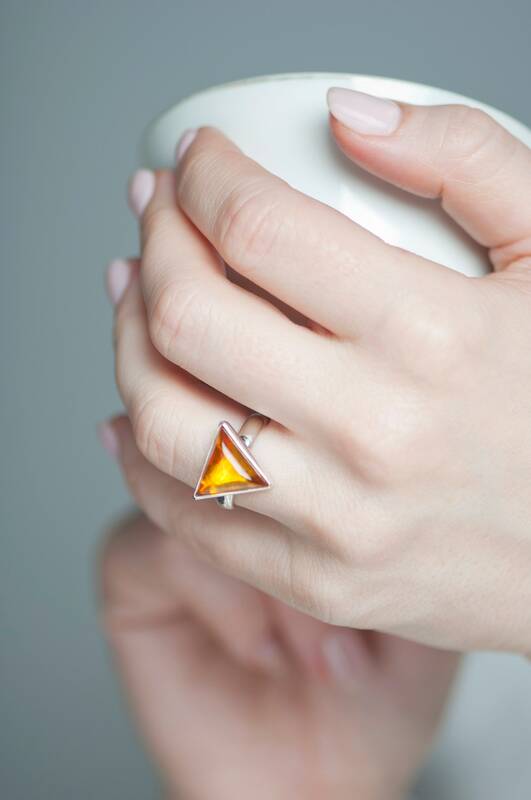 I offer you a unique geometric ring. 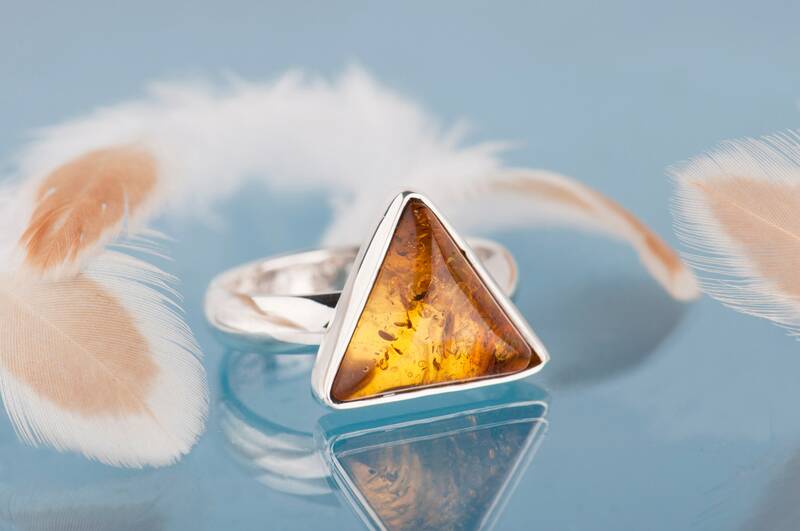 It's a silver ring with Baltic amber in a rarely used triangle shape. 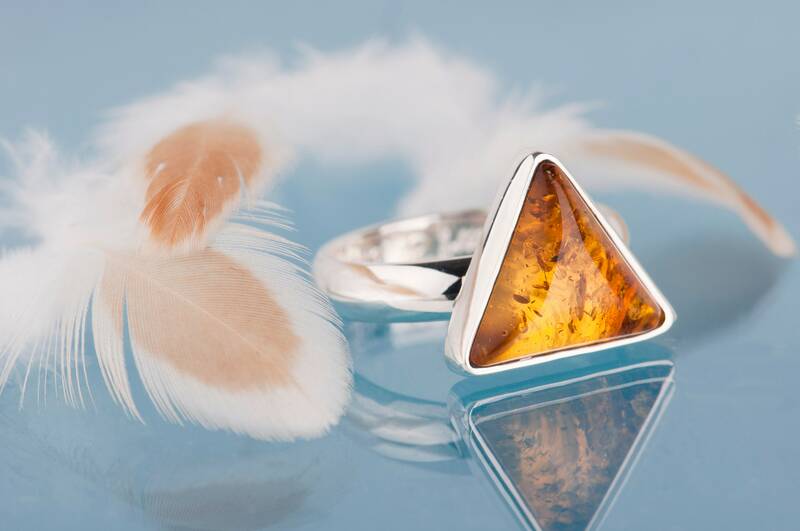 I decided to make a simple setting to show the beauty of the form and rich and unique inner structure of the stone. 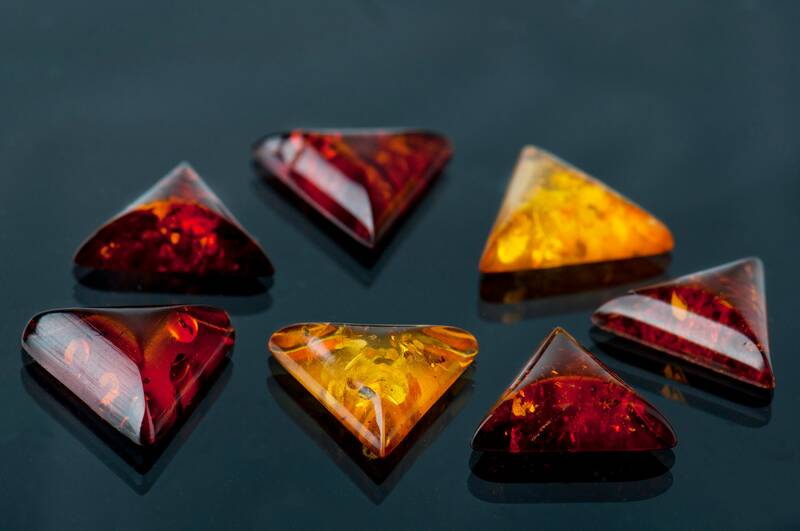 My idea was simple - to give the amber a chance to be a dominant feature and create a truly minimalist and geometric jewelry. 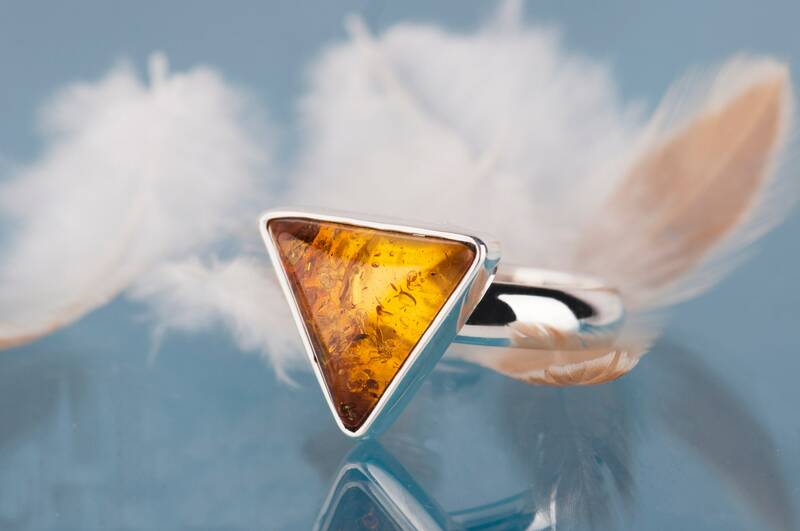 I intended this Baltic amber ring as jewelry for women who like simplicity and uniqueness at the same time. 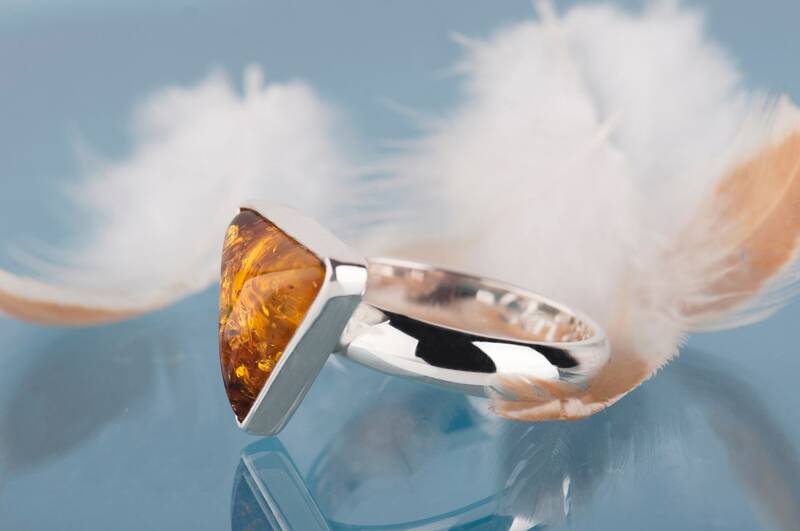 This amber ring is handmade so I need up to 7 days to make it ready. 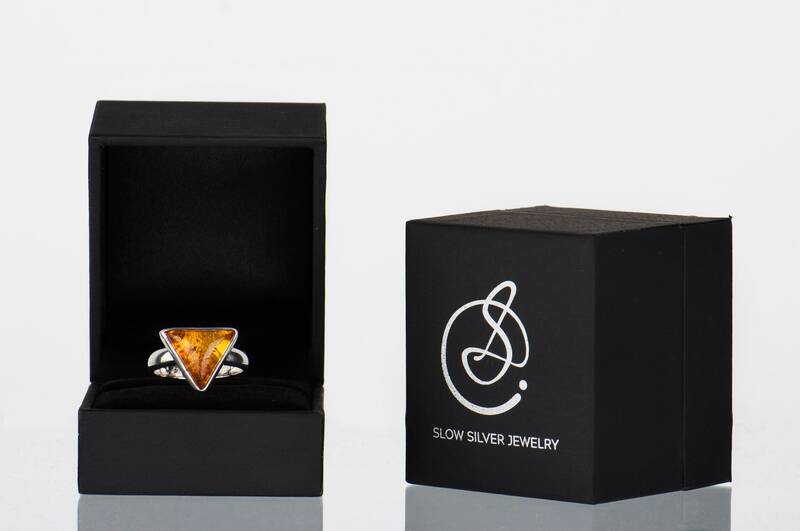 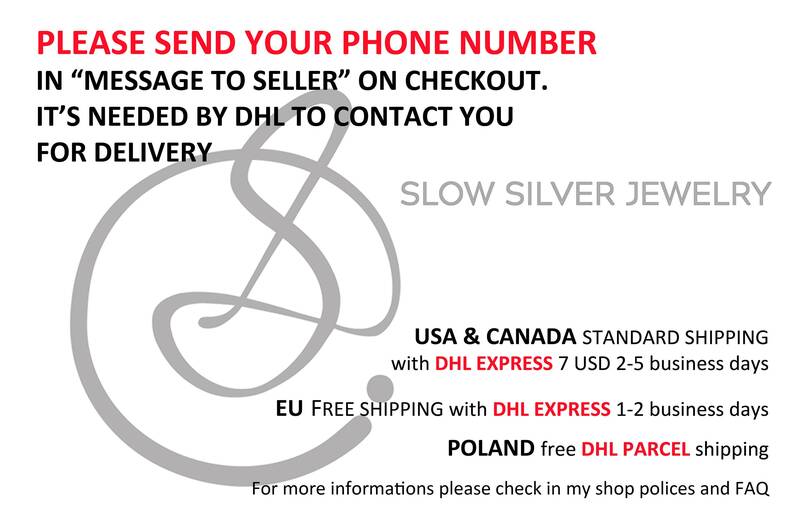 The ring will arrive in a black jewelry/gift box. 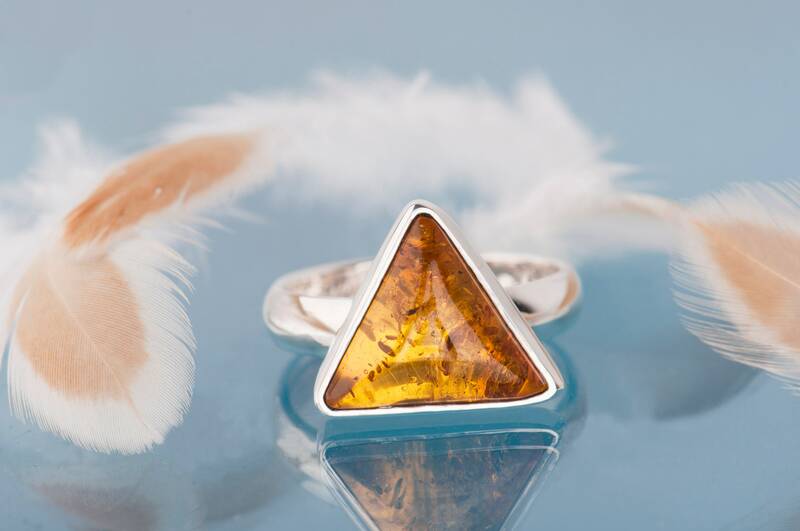 I can ship it to the recipient's front door with a gift card from you - just let me know that is your wish and it will be done :) If you have any questions please send me a message.